If you’re looking for that extra special gift for your true love this Valentines day , to really show the heights of your passion, then we’ve got the perfect offer for you. 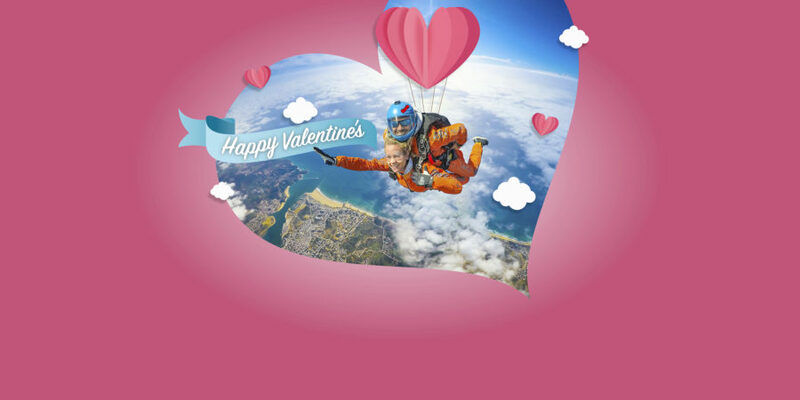 Book a tandem Skydive for any date between 14th and 17th February (inclusive) and take advantage of our Valentines promo- a free upgrade to 15,000ft. Pay the price of our 10,000ft tandem skydive and jump from 15,000ft! To book just click on the book now button below, choose the 15,000ft tandem and use the coupon code LOVE19. "I still fall in love with you everyday"
"There is no difference between a wise man and a fool when they fall in love"
"Love is not about how much you say I LOVE YOU but about how much you prove that it's true"
"When you touch someone with your spirit and in turn they touch your soul with their heart"
"The few hours I spend with you are worth the thousands of hours we spend apart"